" Amanda Hardy is a 17 year old singer/songwriter from Seattle, Washington "
She started her music career at the age of 13, after being discovered on YouTube for her version of Alice in Chain’s “Brother”. The video lead to her being asked to play the Showbox Market for the Layne Staley Tribute, a benefit concert for the Layne Staley Fund. After performing at that show, things really began to happen. Radio appearances on several local radio stations followed that appearance, along with many other show opportunities across the Seattle area. 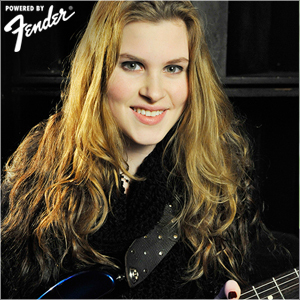 At the age of 14, after a year of playing acoustic gigs, Amanda decided to form her first rock band. Since that day she has been through several lineup changes until finally forming the tight knit group she has assembled today. “Our style is hard and rockin’…but also groovy and bluesy.” Their first EP “What’s Coming Your Way” was released in March 2014 and is something they are very proud of. This CD is Amanda’s first professionally recorded work that has been released. Their engineer/producer is Scotty Olson (Heart, Alice in Chains, Deftones) who has mentored them through many experiences they have encountered. As the lead vocalist for her self-titled hard rock band, Hardy estimates they have played nearly 100 shows in the past three years with bands such as, Sick Puppies, Lacuna Coil, Styx, Deap Vally, Queensryche, The Classic Crime, My Sisters Machine, Jon Batiste, and Anna Nalick. She recently achieved two of her dreams by performing at both the Moore and Paramount Theater’s in Seattle where so many great Seattle acts have played. “It was very surreal to be on those legendary stages where so many great artists have performed!” Amanda has travelled to London, England to perform, showing the dedication she has towards her music. 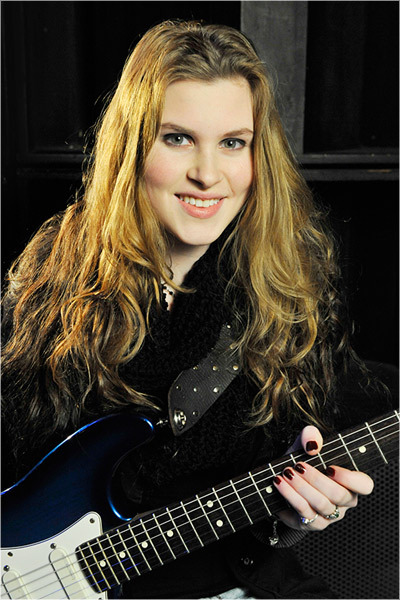 Amanda is very big on giving back to her community and has played several benefits supporting local charities such as Operation Ward 57, Shaken Baby Syndrome, Rock Out ALS, Burned Children Recover Foundation, Muscular Dystrophy Association, Seattle Children’s Hospital Foundation and more. She is also a volunteer for MusiCares and Operation Ward 57. Amanda is heavily influenced by artists such as Alice in Chains, Soundgarden, Halestorm, Led Zeppelin, Black Sabbath, and the Beatles just to name a few. Bands with great vocalists have always been in her top rankings due to her love for singing. People have compared her to many artists such as Chris Cornell, Beth Hart, Lzzy Hale, Layne Staley, Janis Joplin, Ann Wilson, Amy Lee and even Freddy Mercury. There are many different sides to her voice, but one obvious factor is the power that she has behind her vocals. She has worked with a few vocal coaches including Susan Carr, Pamela Moore, and Bernadette Bascom. They have definitely helped her shape her voice into the powerhouse that it is today.